Being pulled over by the police can be a scary experience. Recent news stories do not help how the public perceives traffic stops. For instance, there was that one recent story in New Jersey where police pulled over a young man and performed a cavity search for marijuana. Most traffic stops are not this eventful. However, there are certain mistakes you should avoid during a traffic stop. Some mistakes during a traffic stop could result in severe consequences. Stepping out of the vehicle. Some traffic stop mistakes could put your life in danger. Stepping out of your vehicle is one of those mistakes. Police may believe you are trying to harm them if you exit your vehicle. You should stay in your vehicle and keep your hands on the steering wheel. Being argumentative or talkative. As difficult as it might be, try to remain calm and polite. If you are argumentative or disrespectful, then it could escalate the traffic stop into an even more uncomfortable situation. You should never try to explain yourself or engage in a conversation about why you are being pulled over. Let the officer do the talking. Performing the standardized field sobriety test. 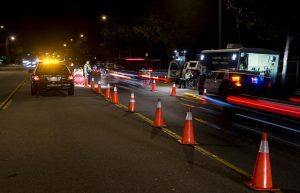 If officers suspect you are driving under the influence of alcohol or drugs, they may ask you to submit to the standardized field sobriety test (SFST). The SFST is a combination of three tests that you could still fail even if you are sober. These tests are also recorded by police dashboard cameras. If you fail, it will be on tape and possibly used against you by the prosecution. Submitting to a search. Police can search your vehicle if they have probable cause or a warrant. There are also other limited circumstances where they can conduct a search. Submitting to search could prove to be a very big mistake. Running away or resisting arrest. Running from the police at a traffic stop could prove to be a life-ending or life-ruining mistake. You could be looking at felony charges. The same could be true if you resist arrest. If you are arrested during a traffic stop, then it is important to remain silent and ask for an attorney. The prosecution may use whatever you say to the police against you if you are facing criminal charges. Louis J. Goodman is a Bay Area criminal defense attorney with decades of experience. If you were arrested and charged with a crime, then Louis J. Goodman could explain your rights and possible defense options. You may call our law office for a free consultation. Call (510) 582-9090 or use our online case review form.